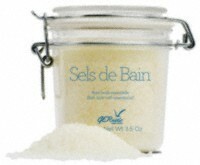 Gernétic Bath Salts were originally designed to promote relaxation and well-being. They also relieve stress by relaxing the mind and nervous system; act as an antiseptic and antibacterial agent, a decongestant for oedemas (swollen legs) and a sedative; relieve cramp and joint pain; reduce digestive disorders by counteracting stomach and intestinal spasms. Excellent for general health. Bath Salts are designed to promote relaxation and wellbeing. They relieve stress by relaxing the mind and the nervous system. 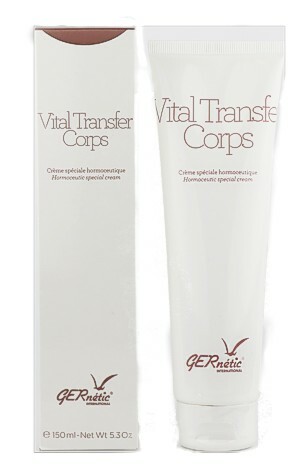 They decongest oedemas and relieve cramps and joint pain. Crystallized sea salt harvested from protected sites with a high concentration in magnesium, iron, zinc and copper Essential oil of Cymbopogon citratus. Dissolve one sachet of Bath Salts under the running tap. Water should be at a temperature between 34 and 36 Degrees Celsius. Relax for 15 to 20 minutes.